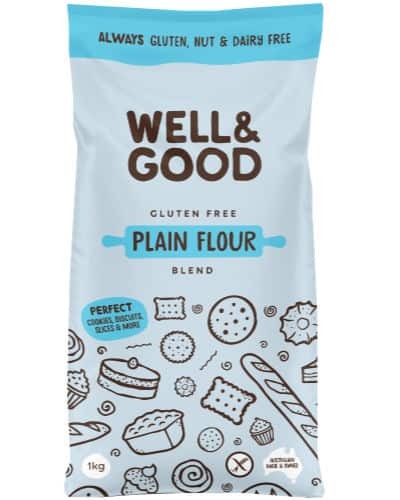 Available in an economical 1kg pack, the Well and Good Gluten Free Plain Flour is the perfect flour for cakes, cookies, sauces and much more. 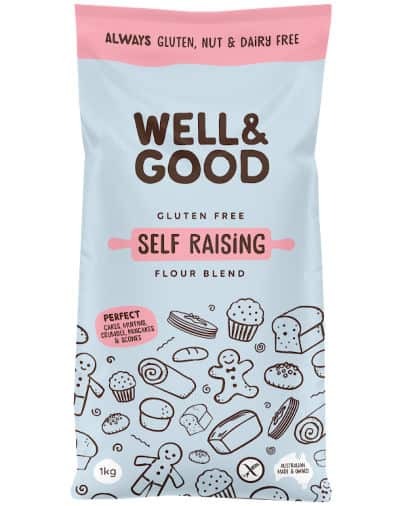 This flour has a handy ziplock bag for easy use and freshness and as an added bonus. What you’ll receive: 4x 1kg bags of flour. Tapioca Starch, Rice Flour, Potato Starch, Modified Tapioca Starch (non-GMO), Dextrose Monohydrate, Thickeners (Sodium Carboxymethyl Cellulose, Hydroxypropyl Methyl Cellulose, Xanthan Gum), Vegetable Emulsifier (Mono and Diglycerides of Fatty Acids).